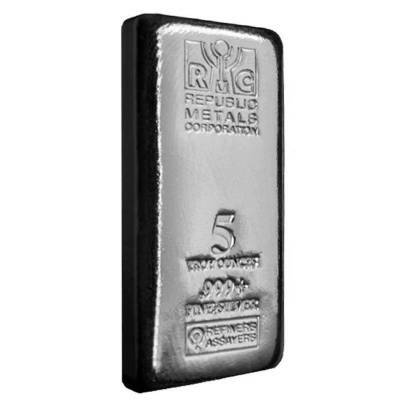 This 5 oz Republic Metals (RMC) Cast Silver Bar is a unique precious metal product from one of the international bullion leaders - Republic Metals Corporation. 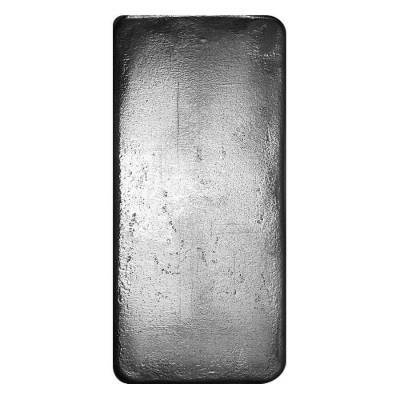 This remarkable silver bar is cast from 5 oz. of 99.9% fine silver, making it an exclusive opportunity to diversify your portfolio with a sought-after investment option. One of the worldwide renowned refineries, Republic Metals Corporation, was established by Richard D. Rubin in Miami, Florida, in 1980. The mint quickly became a premier brand due to its high-quality minting practices and excellence in product manufacturing. Republic Metals is one of the first companies to adopt environmentally friendly techniques and to receive its long-lasting 14001 certifications, owning the most technologically advanced facilities both on East and West coasts. This new RMC Silver Bar - the 5 oz Republic Metals (RMC) Cast Silver Bar - was produced using the silver casting process which gives it a unique appearance and makes it an exceptional opportunity to diversify your portfolio with high-quality silver bars. Made of 5 troy ounces of .999 fine silver. Silver bar struck using silver casting processes. Eligible for Precious Metals IRA. Guaranteed by the Republic Metals Corporation, Miami, FL. Obverse: Features the logo of RMC - the RMC lettering showcasing an iron rod above the “M” letter which is pouring molten silver into the burning furnace. The obverse side also contains the engravings of the bar’s weight, purity, unique serial number and “REFINERS ASSAYERS” inscription. Why should you buy the 5 oz Republic Metals (RMC) Cast Silver Bar? Exquisite silver bar cast by Republic Metals Corporation. Manufactured and guaranteed by a prominent mint - RMC. High liquidity - simple to be traded on the market. Bears lower premium than other bullion products - safe investment. Easy to be stored or counted. An excellent safeguard against economic fluctuations. At Bullion Exchanges, we offer you silver bullion bars of the highest quality. Just like all our precious metal products, this splendid cast RMC silver bar is 100% authentic. 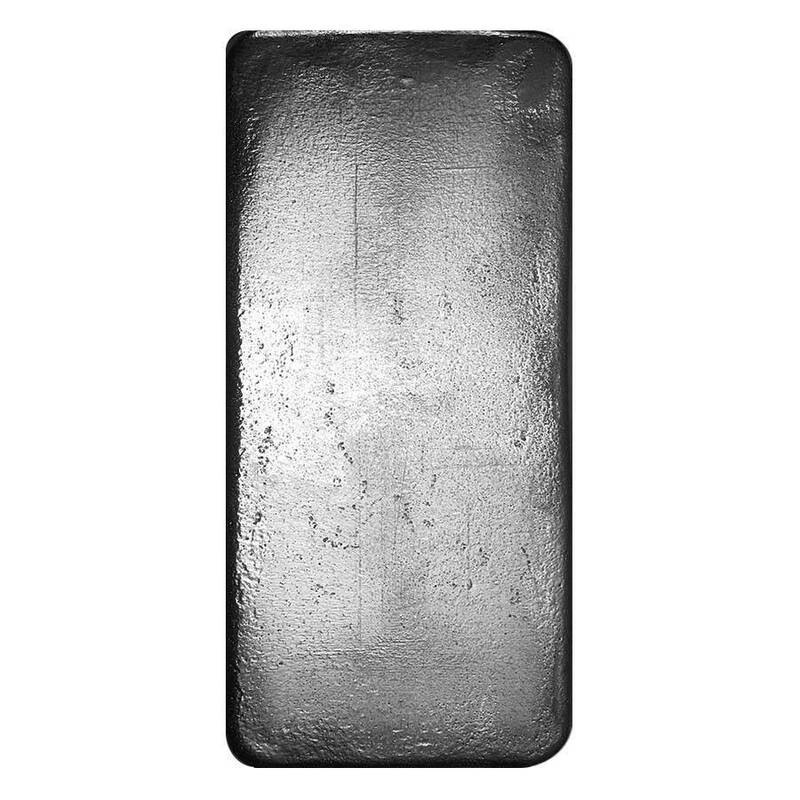 Choose this beautiful 5 oz Republic Metals (RMC) Cast Silver Bar, add it to your impressive investment portfolio and we will have your silver bar wrapped and packaged for a safe delivery. If you have any questions, simply contact us at 800.852.6884 or send us a message, and we will happily assist you. Thanks for the free shipping, and great service. My bar arrived in 2 days, overall this was a great deal and transaction! For every $1 spend, you will earn 1 Bullionaire Buck which is equivalent to $0.001 off a future purchase. 84 BB = $0.08.